Fameshed – 1st April – 27th April – MESHFORMEN. 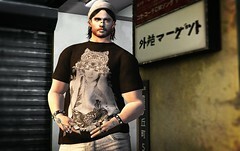 Fameshed is open and there are several items available for men! Check them out!! !